Whooo needs a new Mickey Bag? I know I do, I do! This super cute Mickey and Minnie Handbag from the Disney Boutique line is hitting all the right notes for a fun, new spring bag this season! We love the lace detailing and the soft, pastel color-blocking. Plus, it’s fully lined and comes with a silverplated Disney Boutique label plate. 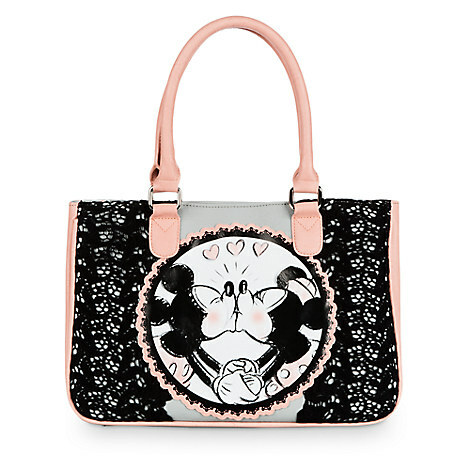 Check out some of our other Favorite Disney Handbags in our Gift Guide!